Welcome to our website, today we are going to provide an awesome tool for your Android devices, that is CS Tool Dongle v1.57.1 (Chinese Smart Tool) it is one of the most useful tools for all Android devices. you can use this tool by downloading from below given download link. we have provided the best download links at the bottom of this page. if you have an Android phone. like, Huawei, HTC, Samsung, or China Mobile, etc and you want to download CS-Tool Dongle then you are reached on the best platform. This Tool works to Remove all Android Mobile Password Lock, Pattern Lock, Pin Lock without losing data. But Don't forget to take Backup of all important data because during Flashing and Resetting can lose data from your phone it is no guarantee. Remember That, CS Tool Dongle is specially designed for Chinese Mobiles it's 100% working on China devices with Windows 7 32Bit, 64-Bit, Windows 8 32-Bit, and Windows 10. maybe it will work on all Android mobile phone, that is no guarantee and you can try to your custom. but we can't guarantee this. If you have installed CS-Tool old version on your PC or laptop, then you need to update. you can update it from the provided latest version, then download setup CS-Tool Dongle from below provided download link. 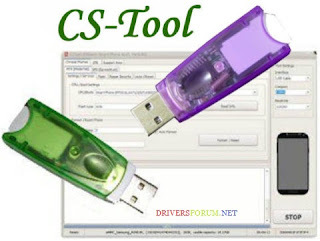 CS Tool a very powerful and very helpful tool which is being used in a very huge number in around the world if you are also one of them so you are absolutely using a comfortable tool for your device. Relevant devices>> we have listed here some of the best Supported CPU lists for your information just see before downloading CS Tool Dongle: MediaTek MT6571, MT6572, MT6582, MT MT6589, MT6577, MT6752, MT6795, MT6592, MT6732, MT6575, MT6577, MT6752, MT6795, eMMC mobile phones. Now just download CS-Tool Dongle v1.57.1 from below given download link by a click. we have provided different versions at the end you can download the required version according to your device. remember that, this time all download links are working properly 100%, but we can't guarantee about all-time working. nevertheless too if you are facing any trouble then just contact us via comments from below given box so we will try best to guide you.